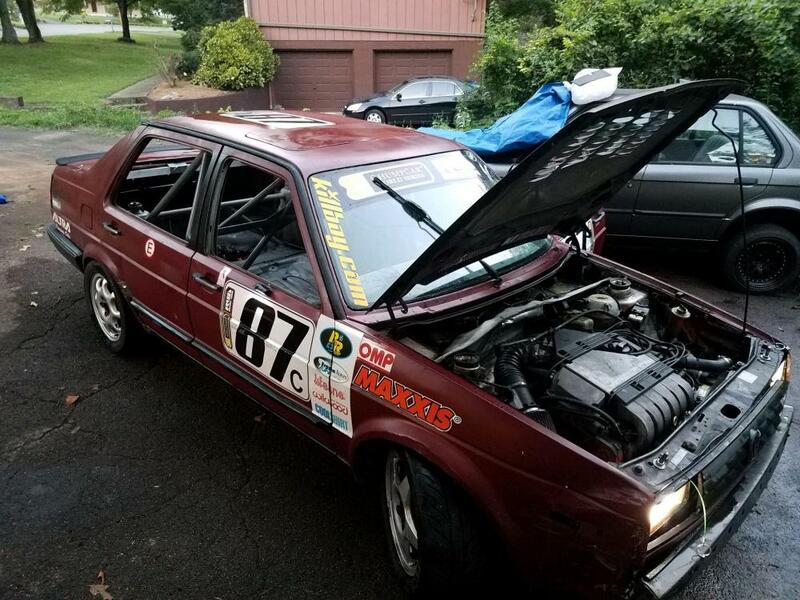 Our 1986 MK2 Vr6 Jetta is for sale. We have had great success with this car but unfortunately we no longer have the room for it. 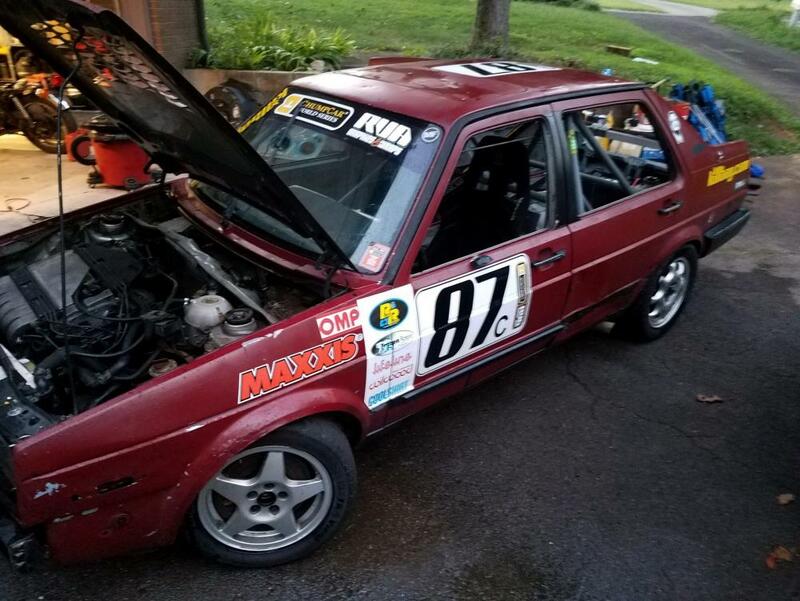 The Jetta was professionally swapped in the early 2000s and used as a show car before a hail storm dented the body and it was retired to a scca rallycross car. 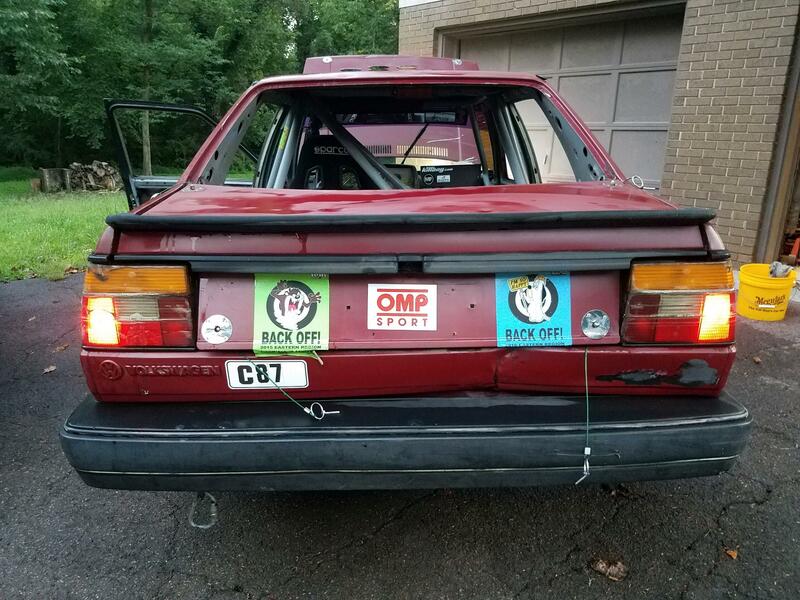 The vr6 conversion was completed using a 93 SLC donor car and included the full harness and fuse box. 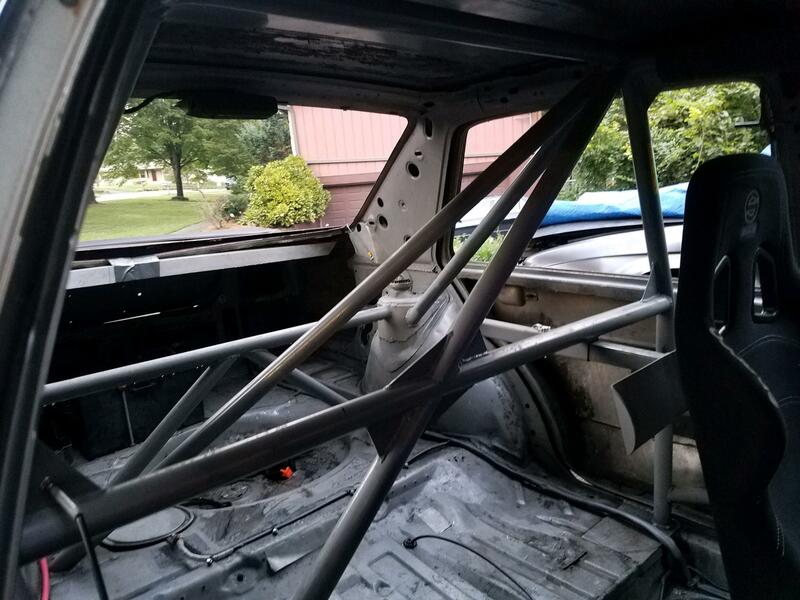 We acquired the car, finished stripping the interior and added the cage in 2013 and have numerous top 10 finishes including: 1st at NCM and 4th at Mid Ohio. The car has proven to be very reliable with a rash of broken axles as our only issue. This was corrected by replacing the front hubs. 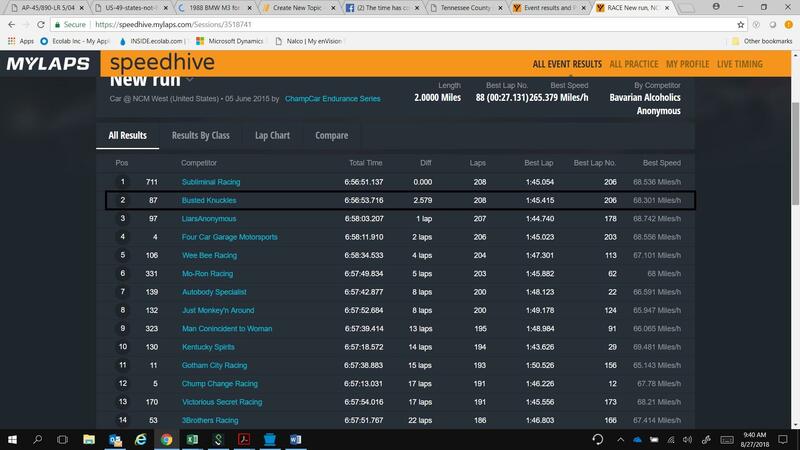 The car has raced at Charlotte, NCM, AMP, Road Atlanta, Mid Ohio, COTA, Barber, VIR, and PIR and can get 2hrs on fuel, depending on your driving style. However, 1:30 -1:45 was the norm for us. 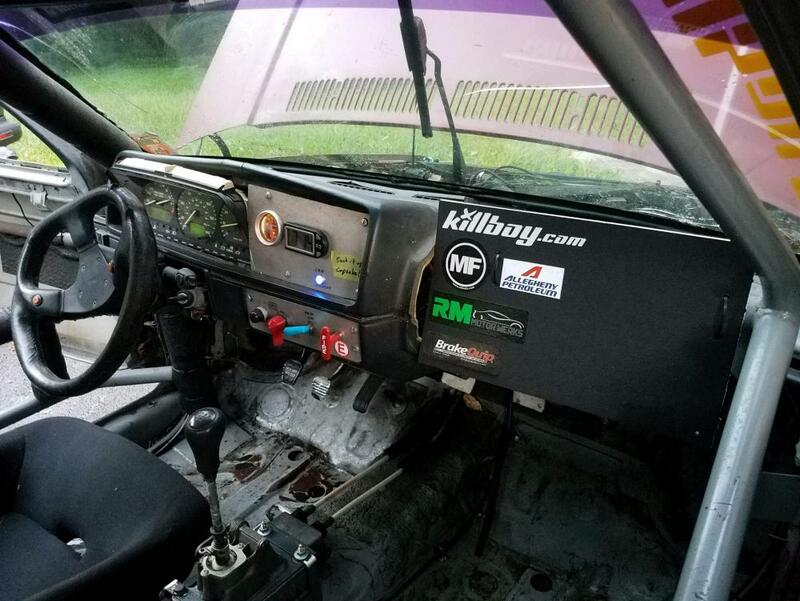 The car uses the factory SLC gauges and we've added a volt meter to watch the battery along with a thermostat override switch for the cooling fan. The car has bumps and bruises but has never been totaled, into a wall, t-boned etc. 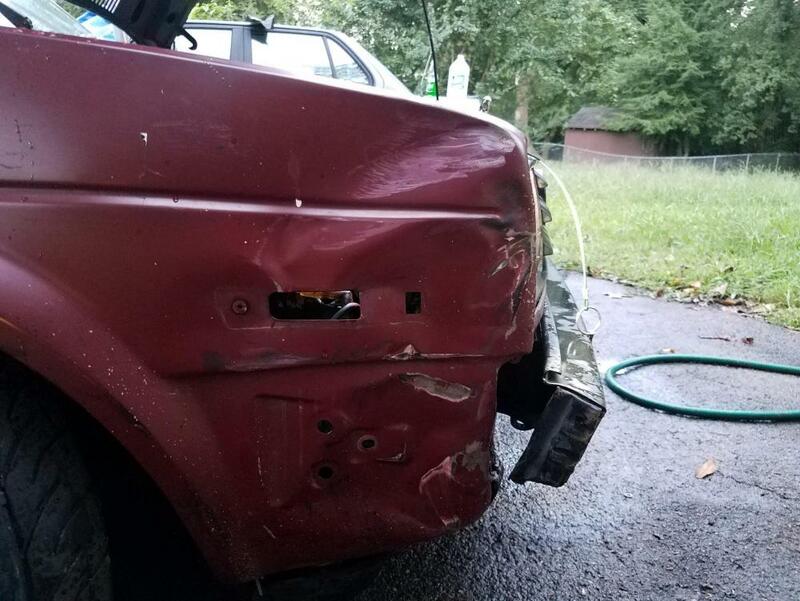 The worse damage is on the rear driver door and has been like that since we bought the car. The windshield is cracked but does not obstruct driver's view and has passed tech for 4yrs. Engine: 2.8 VR6 from a 98 Golf converted to OBD1 with ~150k. Single row timing chains and guides have been replaced. New oil pan, oil cooler, valve cover, and intake gaskets, new plugs. Trans: 02a with 02j shifter. Suspension: Bilstein HD with H&R springs, solid "R32" bushings, no front sway bar, H&R 28mm adjustable rear sway bar. Brakes: ABS, 97 Golf GTI front calipers and rotors with 93 Corrado SLC calipers and rotors in rear. Front rotors are Stoptech slotted with Hawk HT10 pads ~90% life. Rear rotors and pads are OEM quality with ~75% life. Cage: 1.5x.120 DOM professionally installed by TennFab in Knoxville TN. Fuel: stock tank with stock mk2 surge tank and secondary pump. Tires: 205/50/15 Maxxis victra vr-1. 95% tread. Put on new and driven in the rain for 2hrs. Three sets of wheels/tires including the brand new set of Maxxis currently on the car. The other wheels are fitted with Falkens in various, usable, condition. 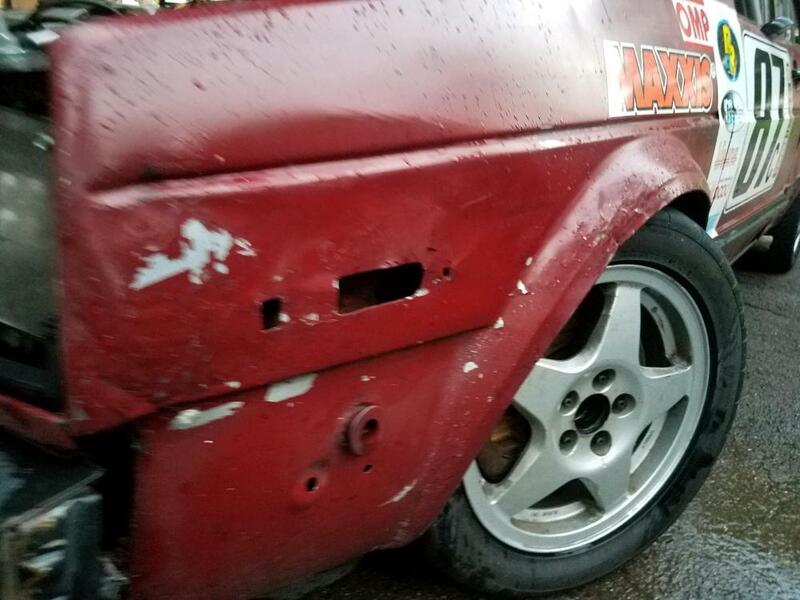 A new owner/ team that will lovingly drive the wheels off it. 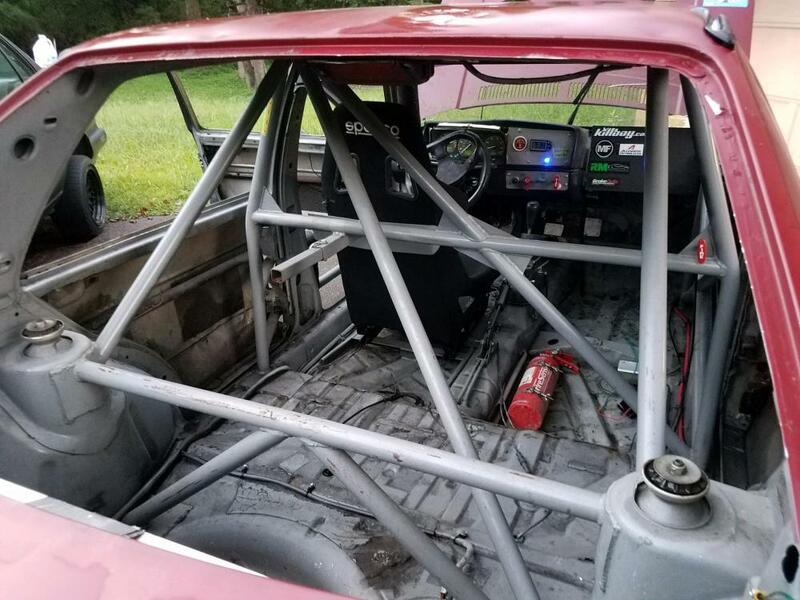 The belts, window net, fire system, transponder, seat, and radio have been removed from the car and will need to be added by the new owners according to their sanctioning bodies rules. The paint is showing its age and could use a refresh inside and out. The car is located in Knoxville, TN and comes with a clean TN title. I have more pictures but they exceed the 3.91 upload limit. .... You can check here for more pictures and videos. Bump. Would really like to see this go to a good home. Here is the spare parts that will be included with the sale. Nice price for a competitive car! Still up for sale. Plenty of time to get her ready for Road Atlanta!! Very interesting. I'll have to get with my team and try to convince them to go fwd. Sale pending, will know more after March VIR.